Download this page as a PDF in color or black-and-white. Download the abbreviated two-page PDF in color or black-and-white. A strong foundation in science, technology, engineering, and mathematics (STEM) will put your child on the road to success in school and beyond. Important critical-thinking skills will cultivate the great thinkers and innovators of tomorrow and promote a better educated public. And, graduates in the STEM fields will have great job prospects. Young children ask many questions, just like scientists. But by the time kids get to middle school, many think that science is hard and means memorizing a lot of facts. Far too many kids never get a chance to explore and engage in science as it’s done in the real world by scientists. The time has come to make a change and help all students develop a scientific way of thinking that will prepare them to be informed citizens and ready for college and careers. The Next Generation Science Standards (NGSS) developed by teachers, scientists, and leaders in science and science education from around the country, focus on the big ideas in science and emphasizes the common practices that scientists use every day, such as planning investigations, developing models, and designing solutions. The NGSS encourage students to learn the processes of science in a deep, meaningful way through firsthand investigative experiences, instead of just memorizing facts for a test. This scientific way of thinking will ensure that the concepts children learn in school will stay with them not just for a day, a week, or a year—but for a lifetime. Here are answers to a few questions you might have about the Next Generation Science Standards. Standards are the learning goals for what students should know and be able to do at each grade level. Standards are not curriculum and do not tell teachers how to teach; rather, they are used as a tool to help teachers know what to teach, to help parents know what children are expected to learn, and to help schools and teachers know what to assess. For example, a second-grade learning goal is for students to be able to plan and conduct an investigation to determine if plants need sunlight and water to grow. A teacher decides how best to teach students to achieve this goal. As part of the instruction, one teacher may lead students in a hands-on lesson that involves growing plants with and without water, while another may ask students to examine data comparing levels of rainfall and crop growth in an area. crosscutting concepts (science ideas, like cause and effect, that permeate all the sciences). The new standards also incorporate important engineering and technology principles, starting in elementary school. Most importantly, the NGSS set high expectations for all students, not just those planning to pursue STEM careers. Education teams from 26 states led the development of the NGSS, with a 41-member writing team (many of them classroom teachers) and in collaboration with many stakeholders, experts, and partners, including NSTA. Thousands of educators, parents, and other community members also participated in an extensive review of drafts. How do I know if my state has adopted the NGSS or if my school or district is using or planning to use the new standards? As of this writing, 18 states (including the District of Columbia) have formally adopted the standards, and many others are planning to adopt some time in the future (get updates at www.nsta.org/ngss). Regardless of state adoption decisions, many school and district leaders recognize the value of these new standards and are working to incorporate the NGSS into curriculum and instruction. To find out if or when the NGSS are coming to your school, start by contacting your child’s science teacher or your school district’s office of science. If there are no plans to adopt or use the standards, we encourage you to speak up and request that your school or district look into using the new standards. 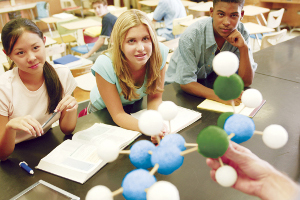 How will NGSS change my child’s science classroom? Teachers will emphasize scientific exploration and experimentation, instead of giving long lectures and expecting students to memorize lists of facts. You’ll see engaging classroom experiences with children asking more questions, exploring and discussing possible solutions, investigating science concepts, using argumentation, and being fully active in the learning process. This approach mirrors real-world science practices and engages students deeply in the learning process. 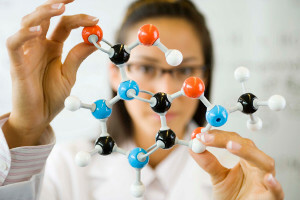 Are the NGSS different from the Common Core State Standards? 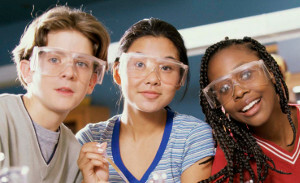 The NGSS were developed independently and are not part of the Common Core State Standards (CCSS) initiative. The CCSS initiative (released in 2010) establishes goals for what students should know in mathematics (CCSS-M) and in English language arts (CCSS-ELA) at the end of each grade. While the CCSS-ELA standards do include goals for reading and writing within content areas, such as science, they do not and should not replace the NGSS. In contrast, the NGSS (released in 2013) present the science content, practices, and concepts students should know at different grade levels and build coherently as they progress from kindergarten to 12th grade. The NGSS development team worked closely with the CCSS writers to ensure the science standards align to the mathematics content and make important literacy connections. 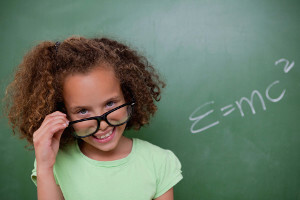 What can I do to prepare my child for a STEM-filled world? Studies show that family involvement is one of the biggest predictors of success in school. That’s why parental involvement is so important. 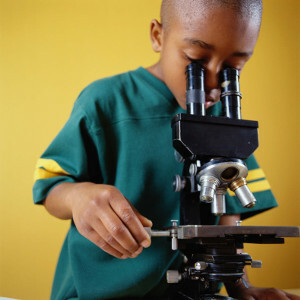 Seek opportunities to explore science at home and in the community with your child. Encourage them to keep asking questions, just like scientists. Let them know you don’t have all the answers, and together try to find them. 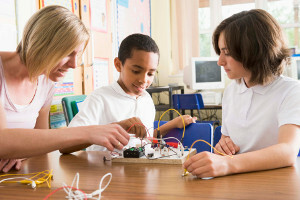 We also encourage you to get involved at your child’s school and connect with teachers to learn more about changes in science instruction as they occur. And, help inspire children by exploring careers in STEM fields. Be sure to check out NSTA’s parent page at www.nsta.org/parents. You’ll find tips to support science learning at home, information about our line of children’s picture books, links to student competitions, recommendations for science trade books, and much more. Want to learn more about the NGSS? Visit the NGSS@NSTA Hub at www.nsta.org/ngss, or the official NGSS web page at www.nextgenscience.org.